The tiny bot’s purpose goes beyond dancing and telling jokes. You’ve probably heard of Sophia the robot. The close-to-lifelike humanoid has graced the cover of Cosmopolitan, gone on a date with Will Smith, and made countless television appearances. Now Sophia appears to be multiplying — or at least diversifying the brand. In November 2018, the Hanson Robotics family grew by one member when Sophia introduced the world to her “little sister” during an appearance on “The Tonight Show.” And on Tuesday, Hanson launched a Kickstarter campaign for the new robot, giving others the opportunity to have a Little Sophia join their families — for a purpose, it says, beyond companionship. 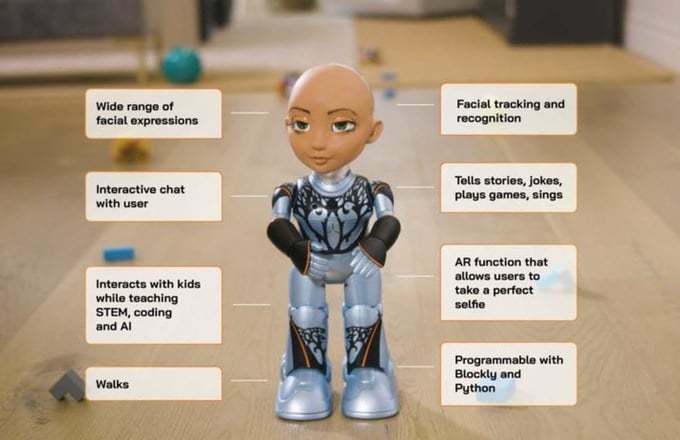 Little Sophia is 14 inches tall with anime-style eyes, a silver body, and a bald head with a see-through backing — just like its “big sister.” The bot also shares many of Sophia’s capabilities, including its ability to sing, walk, dance, track faces, and tell jokes. But Little Sophia’s primary purpose is more educational. 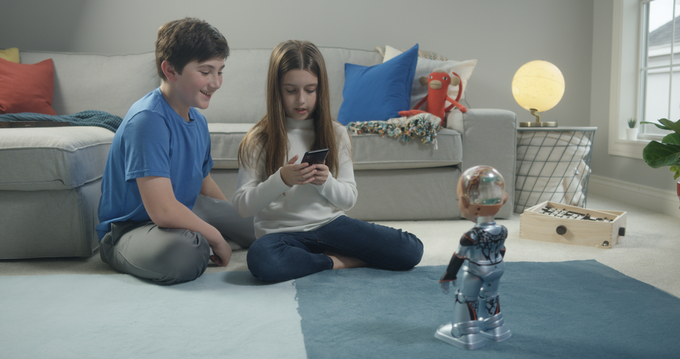 According to the Kickstarter campaign, each Little Sophia comes with a companion app that allows target users — a child between the ages of 7 and 13 — to program the bot using the Blockly and Python languages. “We believe that Little Sophia can help to introduce STEM, coding, and AI to children — especially girls — in a fun, safe, inspiring, and interactive way,” reads the Kickstarter campaign. A Little Sophia costs between $99 and $149, depending on when it’s ordered, and Hanson expects to deliver the bots in December 2019. While Little Sophia is far from the only educational robot, it does have arguably the most famous humanoid in the world in its corner, so there’s a chance the little bot might have a bigger impact than its predecessors — and perhaps even inspire the next generation of roboticists.